Swing provides various borders those have different look and size. You can add the border using setBorder() method for any component. JComponent provides this method for all available components. 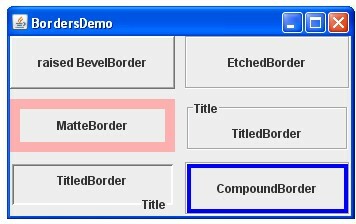 javax.swing.border package has various deferent types of borders. You can create the instance of border class directly.